Dubai: St Mary’s Catholic Church in Dubai is marking the Year of Zayed 2018 with several programmes celebrating the 100th birth anniversary of the UAE’s founding father, the late Shaikh Zayed Bin Sultan Al Nahyan. The church has already held events such as elocution and quiz competitions for people of different age groups based on the history of UAE and the life of Shaikh Zayed. A seminar was organised on November 10, with 1,000 representatives from various communities in the St Mary’s Parish. The seminar was inaugurated by Osama Al Rahma, a prominent figure in the UAE. 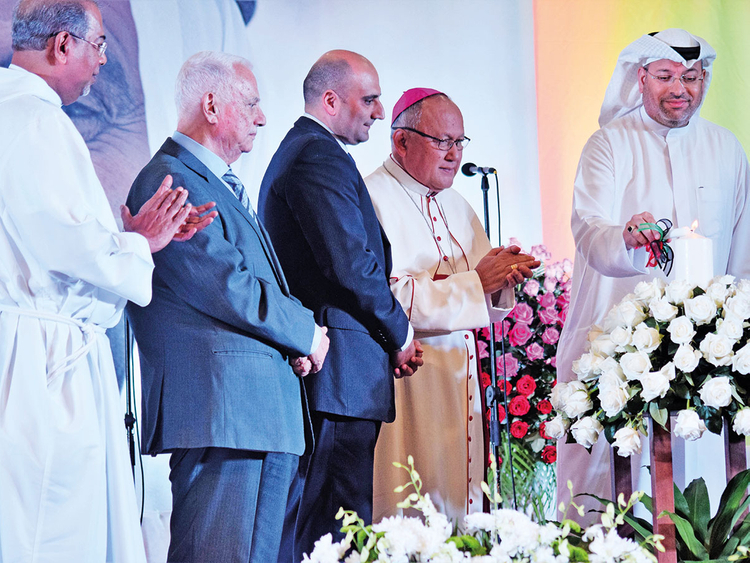 Other speakers were Archbishop Francisco Padilla, Vatican Ambassador to UAE; Assaf Doumit, the Lebanese Consul General. Fr Lennie Connully, the head of the Parish, in his speech paid tributes to Shaikh Zayed and other Rulers and Shaikhs. The Year of Zayed song, specially composed and tuned by the youth band of the Parish, was also played at the seminar. The climax of all celebrations will be ‘Mtahidoon’, a day of sports and fun for the blue-collared workers on December 7. “This is our humble way of telling this nation [The UAE] and its Rulers that we love them for the acceptance, safety, security, tolerance and peace we enjoy in this country,” the church said in a statement.